The Kremlin’s electoral meddling has many different forms around the world. 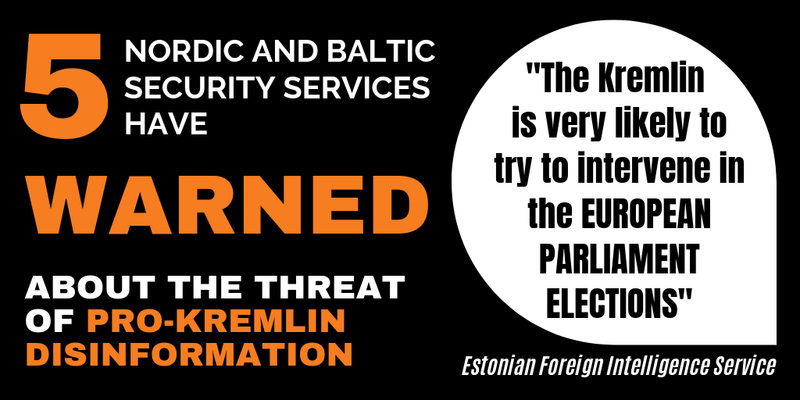 In several recent European elections, we have seen a variety of interference tactics, including personal attacks, hack-and-leak operations, false narratives, amplifying sentiments, cyberattacks, and more. Of these methods, information manipulation remains a particularly pervasive tactic. Malign actors prefer techniques of information manipulation as they are effective and not expensive. As the Kremlin’s tactics evolve, research into their scope and impact is growing. We have collected some figures and data from recent European elections and referenda that illustrate the scope of this threat. Pro-Kremlin actors use a variety of information manipulation tactics to influence elections. On the one hand, they propagate certain disinformation narratives – in the case of Catalonia, for example, that Spain and Europe are in deep crisis – and try to amplify negative sentiments that are already present in discussions. In other cases, for example German parliamentary elections in 2017, the meddlers side with a particular candidate or political party, and they seek to boost public support for their sake. 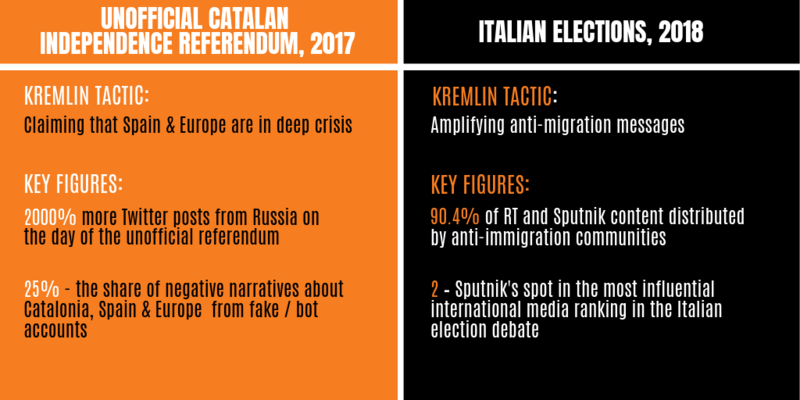 Meanwhile, ahead of Italy’s 2018 parliamentary elections, pro-Kremlin actors tried to amplify anti-migration messages, and successfully spread them primarily through anti-immigration communities. Finally, another common tactic is to create chaos and confusion by promoting contradictory narratives from both sides of a political issue, as exemplified in the 2016 Brexit referendum. Even though the Kremlin explicitly promoted the Leave campaign, Russia-linked Twitter accounts in fact spread both pro- and anti-Brexit narratives in the run-up to the referendum. Research shows that automated bots on social media play a significant role in election meddling. For instance, bots contributed to the rampant spread of anti-EU messages on British social media. Bots constituted one fourth of the accounts that spread the leading pro-Kremlin narratives during the unofficial Catalan referendum. 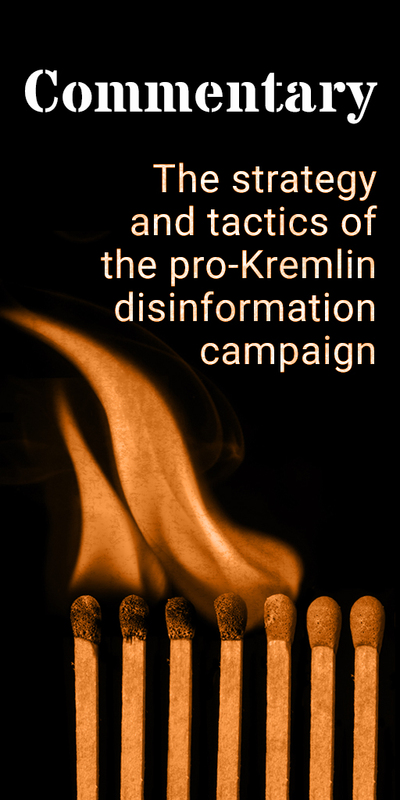 Complementing the social media tactics, pro-Kremlin actors rely on the manipulation of traditional media, namely by planting disinformation and deceptive narratives with help of pro-Kremlin outlets. Those narratives are then picked up by other sources and can gradually gain mainstream legitimacy. This approach was effective in several cases: articles by RT and Sputnik were among the most shared in Spain around the unofficial Catalan referendum. Similarly, RT and Sputnik ranked in the top 3% of the most influential media outlets in Italy ahead of the 2018 national elections. “Disinformation and ‘fake news’: Final Report“. (2019). UK Parliament Select Committee on Culture, Media and Sport. “Putin’s Asymmetric Assault on Democracy in Russia and Europe: Implications for US National Security“. (2018). Minority Staff Report, Committee on Foreign Relations of the United States Senate. “Putin’s Brexit? The Influence of Kremlin Media and Bots During the 2016 UK EU referendum“. (2018). 89up. “The Construction of Anti-Immigration Electoral Messages in Italy“. (2018). Alto Data Analytics. Alonso, N. (2018). “US Senate Report Condemns Russian Interference in Catalan Referendum“. El Pais. Bastos, M. and Mercea, D. (2017). “The Brexit Botnet and User-Generated Hyperpartisan News“. Social Science Computer Review. Applebaum, A., Pomerantsev, P., Smith, M., and Colliver, C. (2017). “‘Make Germany Great Again’. Kremlin, Alt-Right and International Influences in the 2017 German Elections“. Institute for Strategic Dialogue, LSE Institute of Global Affairs. Neudert, L., Kollanyi, B. and Howard, P. (2017). “Junk News and Bots during the German Parliamentary Election: What are German Voters Sharing over Twitter?” Computational Propaganda Research Project, University of Oxford. Milosevich-Juaristi, M. (2017). “The ‘Combination’: An Instrument in Russia’s Information War in Catalonia“. Real Instituto Elcano. “Far Right Targets Germany on Reddit“. (2017). DFR Lab, Atlantic Council. 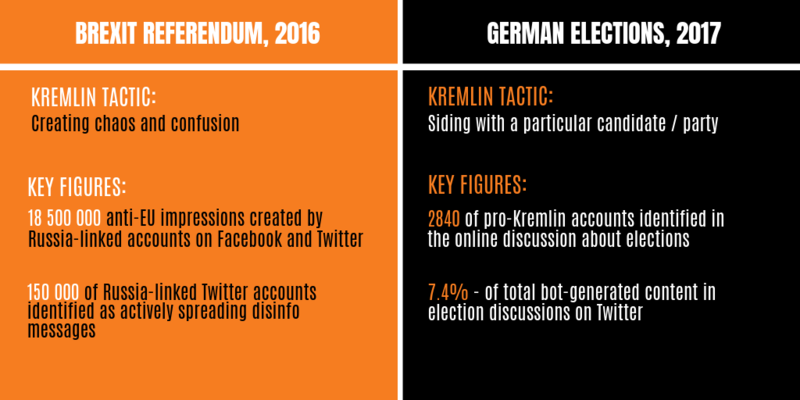 “#ElectionWatch: German Fringe Media Targets Russian Social Media Platform“. (2017). DFR Lab, Atlantic Council. “#ElectionWatch: Final Hours Fake News Hype in Germany“. (2017). DFR Lab, Atlantic Council. “Russian TV’s View on Catalonia Referendum: Europe Falling Apart and Spain Compared to Ukraine“. (2017). EUvsDisinfo. Alandete, D. (2017). “Russian Network Used Venezuelan Accounts to Deepen Catalan Crisis“. El Pais.